Komatsu Australia has released two new Dash 8-wheel loaders – the WA270-8 and WA320-8 – both powered with Tier 4-compliant low emission engine technology, and delivering improved fuel efficiency, higher productivity, and reduced owning and operating costs. The WA270-8 – replacing the WA250PZ-6 – is powered by a Komatsu SAA6D107E-3 engine rated at 111kW and offers bucket sizes from 1.9-2.7 cu m, while the WA320-8 – replacing the WA320PZ-6 – is powered by a Komatsu SAA6D107E-3 rated at 123kW and has bucket capacities ranging from 2.3-3.2 cu m.
Both loaders feature Komatsu’s fourth generation hydrostatic drive transmission system, as well as its versatile parallel Z-bar (PZ) linkage system, which combines high breakout forces with parallel lift throughout the lifting cycle. 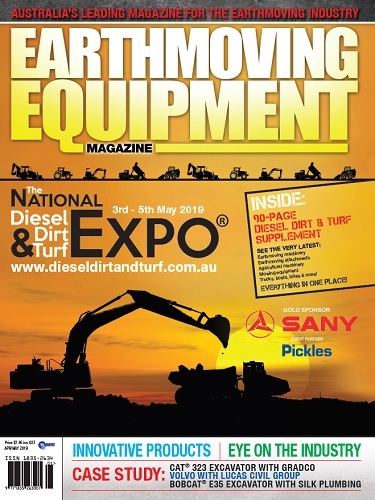 “In releasing the Dash 8 versions of these two loaders, Komatsu Australia has gone straight from their Dash 6 variants, skipping the Dash 7 upgrades, which included interim Tier 4-compliant engines,” said Richard Feehely, Komatsu Australia’s National Business Manager – Quarries. 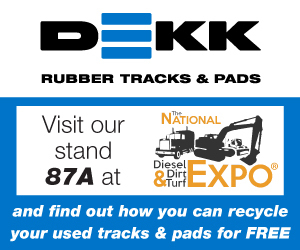 “These latest wheel loaders incorporate all the new technology developments introduced in both the Dash 7 and Dash 8 upgrades, including improved performance and safety, reduced fuel consumption, superior operator ergonomics and significantly enhanced maintainability,” he said. 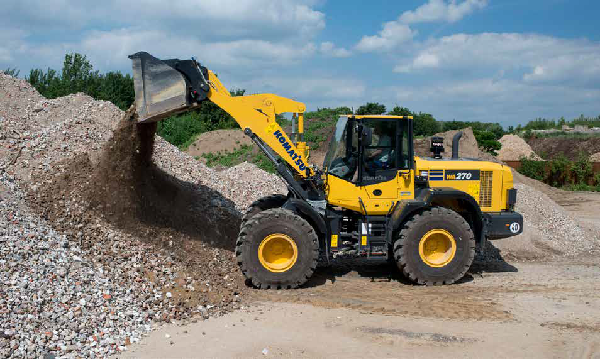 Both loaders have increased straight and full-turn static tipping loads for improved productivity and safety; the WA270-8 has a full turn static tipping load of 8930 kg (2.3 cu m capacity GP pin-on bucket) and the WA320-8 has a full turn STL of 9780 kg (2.8 cu m capacity GP pin-on bucket). 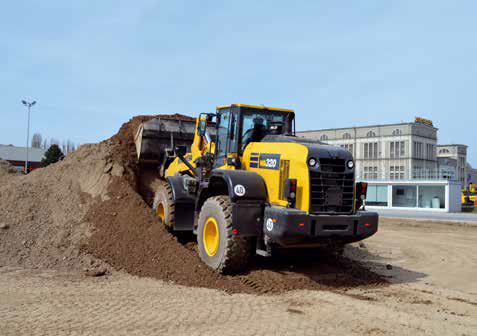 “These higher performance capabilities, combined with fuel efficiency improvements of up to 13 per cent from our Tier 4 final engine technology, mean these new loaders deliver significantly lower costs per metre of material moved than their predecessors,” said Feehely. Both are powered by Komatsu’s EPA Tier 4 Final compliant SAA6D107E-3 engine, rated at 111kW on the WA270-8 and 123kW on the WA320-8. These engines incorporate a hydraulically actuated variable geometry turbocharger (VGT) to provide optimum air flow under all speed and load conditions, along with Komatsu Diesel Particulate Filter (KDPF) and Selective Catalytic Reduction (SCR) systems to reduce particulate matter and NOx while providing automatic regeneration. According to Feehely, auto-reversing fans as standard, along with wider core coolers, provide ample cooling capacity, able to cope with ambient conditions that are both hot and contain high amounts of airborne debris. “Komatsu SmartLoader Logic on both machines automatically controls engine torque to match machine demands, optimising torque for all applications to minimise fuel consumption – without decreasing production. “Reduced fuel consumption is further aided through six guidance messages and an enhanced ‘ecology’ gauge in the cabin display to encourage operators to work as fuel efficiently as possible,” he said. Komatsu’s fourth generation hydrostatic transmission (HST) provides quick travel response and aggressive drive into the pile. “Full auto-shifting eliminates any gear shifting and kick-down operation, to allow the operator to concentrate on digging and loading. A new design air-suspension operator seat gives enhanced support in rough conditions, as well as dampening machine vibrations. “The seat, along with the steering wheel, is fully adjustable for optimum comfort and control. “In-cab noise levels at the operator’s ear have also been reduced, down to 68 dBA on both models,” a significant reduction on their predecessors,” he said. “Machine maintainability has also been greatly improved through such features as side-opening gullwing style engine doors, swing-out type cooling fan and wide-core radiator, and placement of daily and weekly maintenance items for easy-to-reach ground-level access. “Komatsu Dash 8 loader owners also have the benefits of our advanced ICT (information and communications technology), including enhanced and intuitive on-board diagnostics systems and our latest KOMTRAX remote monitoring capabilities,” said Feehely. 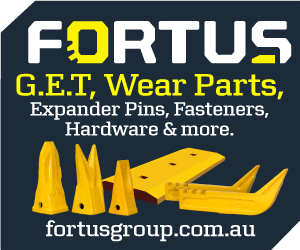 “In addition, each new machine is covered by Komatsu Australia’s Komplimentary Servicing offering, covering two years/2000 operating hours and including one complimentary scheduled diesel particulate filter exchange. 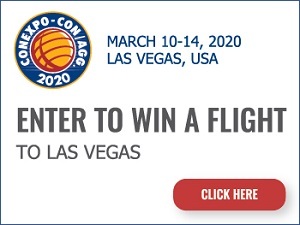 “This not only gives owners the peace of mind in knowing just what their hourly operating costs will be for the first two years of the machine’s life, but also further pushes down hourly owning and operating costs. 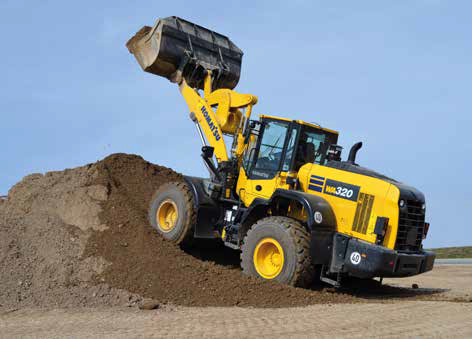 “The combination of production and performance improvements, lower fuel consumption, easier maintenance, and Komatsu’s outstanding product support offerings make these among the lowest cost-per-metre loaders available in their class,” he said. WA270-8: Operating weight, 12.8-13.2 tonnes; engine, Komatsu SAA6D107E-3 engine, rated at 111kW; transmission, four-speed fourth-generation Komatsu HST; maximum speeds, F/R, 38/38km/h; bucket capacity range, 1.9-2.7 cu m; GP bucket capacity, 2.3 cu m; GP bucket static tipping load at 40° full turn, 10,330kg; bucket breakout, 13,375 kgf; dump clearance, 2975mm. WA320-8: Operating weight, 15.5-15.9 tonnes; engine, Komatsu SAA6D107E-3 engine, rated at 123kW; transmission, four-speed fourth-generation Komatsu HST; maximum speeds, F/R, 38/38km/h; bucket capacity range, 2.3-3.2 cu m; GP bucket capacity, 2.8 cu m; GP bucket static tipping load at 40° full turn, 11,500kg; bucket breakout, 16,470 kgf; dump clearance, 2880mm.